Sarah Jane Evans MW who came from London to specially address the conference based her conclusion on her discussions with several Masters of Wine doing work in wine tourism in the US and Burgundy and inputs from other countries including Spain and South Africa. Her advice to the producers was to make visits to the winery fun and welcoming and to be sincere and prepared to offer an individual experience so the tourists go back with good memories. She added that they must be authentic, sharing local delicacies with the visitors. They must tell their story if they can and work with others in the region. 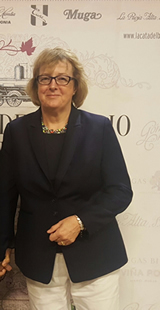 She gave the excellent example of recently organised ‘La Cata del Barrio del Estación’ event by all seven wineries of Haro Station District in Rioja which both of us had attended last month and experienced their success first-hand. Wine Tasting is about discovery and today’s consumers seek experiences, she emphasised. She gave the examples of a winery in Napa that organised an annual visit to the winery where dogs could also be brought, making it a special occasion for the dog lovers. Another example was bicycling through the vineyards of Argentina. Hatten Winery in Bali teaches WSET courses in the winery and sells local products at its shop. ‘Be prepared for every guest’ is a part of her mantra for producers, especially those receiving big groups in buses. You must find ways of ‘hiding’ those buses and big groups as much as you can or else visitors who are alone or in a small group would tend to be intimidated. Children would need some sort of entertainment while others are at the tasting. Similarly, many people do not drink wine. They should be provided fruits or fruit juices,’ she suggested. You must discover the needs of visitors and try to fulfil them during the visit. Buying your wine is certainly not their first need although wine tasting is an activity that may help in that direction. A visit to the vineyards would interest many. Wine tasting is a pleasure that helps you build your brand, develop a wine club and even helps you understand your customers. She also stressed on simple but often overlooked things like having signposts everywhere within the campus where the tourist would visit. A wine tourist can be even made to experiment with new wines, labels, packaging or different blends in your wine. Of course, one can sell wine to the visitors- at higher margins and with quicker returns with no distribution expenses and no exchange rate fluctuation problems. She concluded by warning that the cellar door works only if your consumers have a good experience in your tasting room for which the trained staff is very essential. You must make sure that the visitors know where they can buy wine and other accessories. She also advised that the wines served must be in top condition and not tired. The glasses must be of proper shape and clean. Smoking should not be allowed at the wine tasting either. 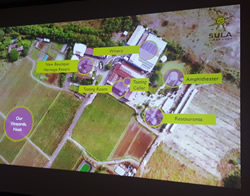 As a case study, Rajeev Samant, Founder CEO of Sula Vineyards had been invited to present their experience. Sula is the leading Indian wine producer, also recognised for the best winery promoting wine tourism in India. It is the first Indian winery to have been awarded by The Drinks Business, for promoting wine tourism. Sula was also a recipient of the ‘Best Winery Promoting Wine Tourism Award’ at the first delWine Excellence Awards in Delhi last month. Taking her talk forward Rajeev Samant said Sula had received over 230,000 visitors last year, which meant they must have been doing something right! He started his presentation with the example from an earlier seminar by Jeanie Cho Lee MW who had presented a panorama of the wine and spirits market for Chinese market on the previous day. When asked about the future prospects of scores of Chinese wineries that had such prohibitive prices, she had said the bigger and established wineries like the State-run Cofco would survive. The smaller, boutique wineries would also survive because their business model attracted a niche customer that would always be loyal to their wines. It’s the people in the middle who would face extinction. He had a similar word of advice for similar Indian wineries many of which were having problems. He asserted that those wineries in the middle could succeed if they had a good wine tourism model in place. 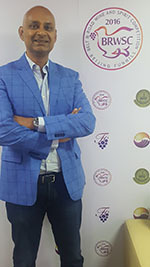 Sula’s has been a real success story in wine tourism. He asserted that one out of four people coming to the tasting room had never had wine and claimed that perhaps more people started with their first glass of wine at Sula than any other winery in the world. ‘What distinguishes us from others is a 360-degree fully integrated approach and experience offered to our visitors,’ he said, adding, ‘we create experience for all demographics and interest levels ranging from novices to connoisseurs’. Confirming Sarah Jane’s viewpoint that good tourism policy increases sales from the cellar door, he said they had seen a 50% increase from the cellar door in their premium and expensive wines as a direct result of winemaker tastings since they started the program where one can taste in the company of one of the winemakers and discuss winemaking. Of course, they have 2 non-winemaker programmes, the most affordable being around $3 (Rs. 200) with a 5-wine tasting. A Taste and Buy program over weekends had been so popular that it has been upgraded to every day status. While obliquely referring to the extremely popular winery resort ‘Beyond’ which Sula had leased for years and which went back to the owners on July 1 this year he said a 23-room hotel is being built on the old 200,000 liter winery compound which has been now demolished. They have moved operations to the bigger winery with 10 million liter capacity. It will be ready by January (in time for the 10th anniversary edition of SulaFest, a blend of Classical, jazz and rock festival). He does not mind disclosing that the ‘profits are massive and the whole programme is worth it’. Adding beer and spirits to the Fest, they have also increased footfalls and the bottom line. He talks fondly of the amphitheatre from which the whole tourism plan execution had started way back in 2005. The tasting room has different music at different time of the day for different moods. ‘All the 2,000 songs have been curated by me’, he says with pride. Around 40-50 weddings are performed every year, thanks to the amphitheatre. They also have a couple of restaurants, one of which serves Indian cuisine and the other has global flavours. Wine pairing is encouraged with each dish. 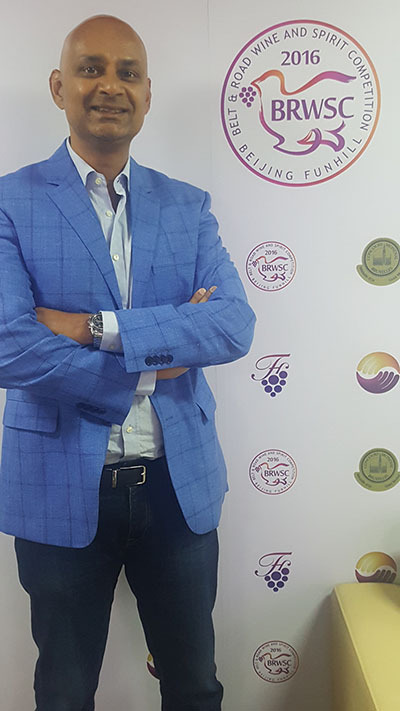 With Wine Tourism being the flavour of the day, especially in Asia, the seminar was very relevant, topical and useful- Vinopres, the organisers of theAsian Wine & Spirit Forum and Tasting – The Silk Route deserve an applause for choosing the topic and focusing on India. One point both the speakers did not stress enough was that it was actually in the interest of the consumer to buy and hand carry as many wines as possible on such winery visits. Wines are stored at the wineries in a near-perfect condition. From there on, it is logistically downhill depending upon the supply chain which is never perfect. Several studies in the field have shown that the temperature during transit can cross 40 °C at times no matter how good the distribution chain is, thus bruising the wine. This is applicable particular in India and other Asian countries like Thailand. It would make sense to educate the consumer about this particular aspect and encourage them to buy for their own benefit. Dear Subhash Very useful coverage. .thank you for sharing the words of wisdom on tourism from such stalwarts ! With immense appreciation Darby Raju Bangalore Soma Vineyards "A sense of place"